In a statement released Wednesday in response, Semenya’s lawyers said Coe’s comments and the Daily Telegraph’s “distorted” reporting — the newspaper referred to the South Africa runner as “muscle-packed” and “unbeatable” — reminded her of how she was scrutinized and judged at her first world championships in 2009, when she was 18. Back then, Semenya won the 800 title a day after it was revealed she underwent gender tests ordered by the IAAF, partly because of her muscular build. Some Australian media were criticized for inaccurate and unsavory reporting at the time, when they speculated on the then-teenager’s physical anatomy. Semenya underwent further medical examinations after the event and was sidelined from running for nearly a year. The IAAF later accepted her in women’s competitions. Semenya read Coe’s interview with the Daily Telegraph over the weekend, her lawyers said. “Ms. Semenya remembers her story breaking out of Australia ten years ago on the eve of her competing in the 2009 World Championships,” Semenya’s lawyers said in their statement. “After winning the 800 meter final the next day Ms. Semenya stood in the middle of the stadium knowing that everyone watching the event was judging her. She was 18 years old. The statement from Semenya’s camp came as she and track’s governing body wait for a verdict from the Court of Arbitration for Sport in a case that could change women’s sports. 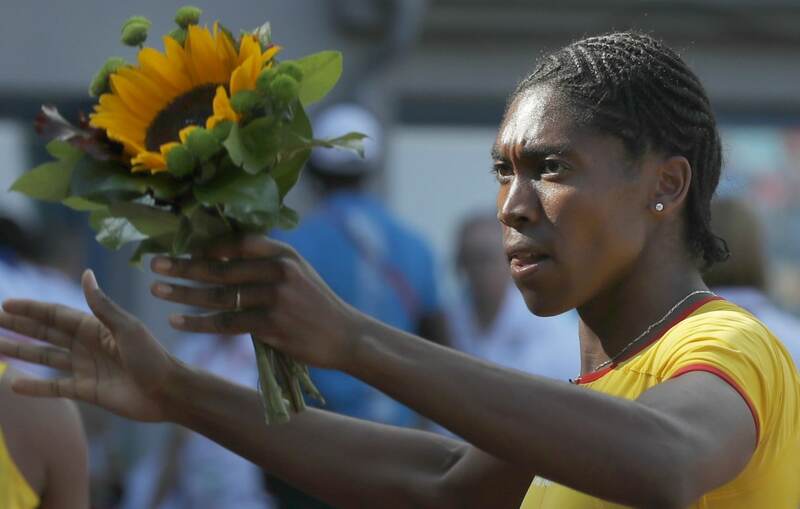 Now 28, Semenya has gone to CAS to challenge rules the IAAF wants to introduce to lower the high levels of natural testosterone in some female athletes through medication or surgery before they can compete in top-class races from distances ranging from 400 meters to the mile. “The reason we have gender classifications is because if you didn’t then no woman would ever win another title or another medal or break another record in our sport,” Coe was quoted as saying. The CAS case — possibly the end of a decade-long battle between Semenya and the IAAF — has been marked by glimpses of ill-feeling between the camps, with Semenya’s lawyers complaining in the buildup to the hearing that the IAAF was breaching confidentiality rules. Details of Semenya’s condition have never been made public but she is believed to be one of numerous female athletes to have hyperandrogenism, which results in elevated levels of natural testosterone. The IAAF says the condition gives her and athletes like her an unfair advantage over other runners. Semenya rarely speaks publicly on the issue but has become more vocal in recent months through her lawyers. She had also not previously spoken in depth about the effect the 2009 worlds in Berlin had on her, and the “scars” she said it left.